Online grocery shopping is about to become a whole lot faster with Woolworths. 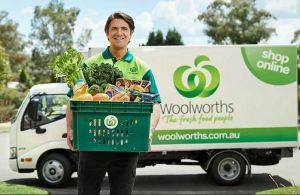 Woolies has launched its Delivery Now service in Brisbane, offering 300,000 city dwellers access to their grocery delivery within just two hours. Customers living in the suburbs surrounding Woolworths stores in Ascot, Ashgrove, Bulimba, Camp Hill, Paddington and Spring Hill can select up to 30 items for speedy delivery. Orders are trackable via mobile from the store to a customer’s door on a live map using GPS technology, including a dynamic estimated time of arrival. Woolworths General Manager of eCommerce, Annette Karantoni, said: “Customers tell us they want more convenient shopping options and we’re working to meet these needs. 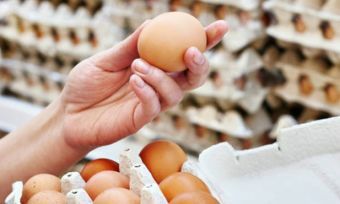 “Delivery Now offers customers fast, reliable and effortless grocery delivery in under two hours. It’s ideal for top up shops of everyday essentials when customers are pressed for time. With the launch of the service in Brisbane, there are now 38 supermarkets across Sydney, Melbourne and Brisbane metro areas that offer Delivery Now. Shoppers can check if the service is available to their location via the Woolies website. All orders are hand-picked in store by Woolworths personal shoppers and delivered to customers by a “dedicated last-mile delivery partner”. Delivery Now is available seven days a week between 9am and 7pm, with a flat delivery fee of $19. Woolworths also offers same day delivery for evening drop off where orders are placed before 11am. For customers looking to save time and money, Woolworths offers a free same day Pick Up service at all stores.